DAVID LE/Staff photo. 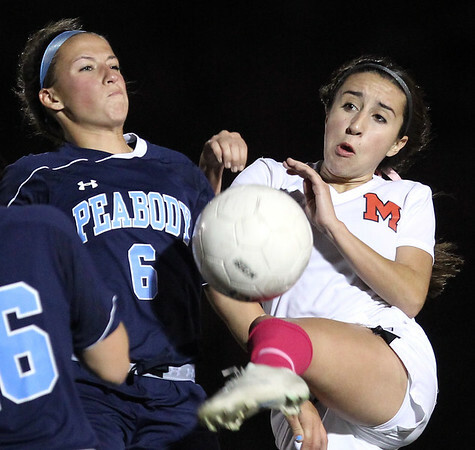 Marblehead junior Megan McCarthy, right, kicks her foot high in the air to win a 50/50 ball while being challenged by Peabody's Emily Nelson (6). 10/14/15.